NEH for All | Uncovering the History of Nurse Practitioners in the U.S. 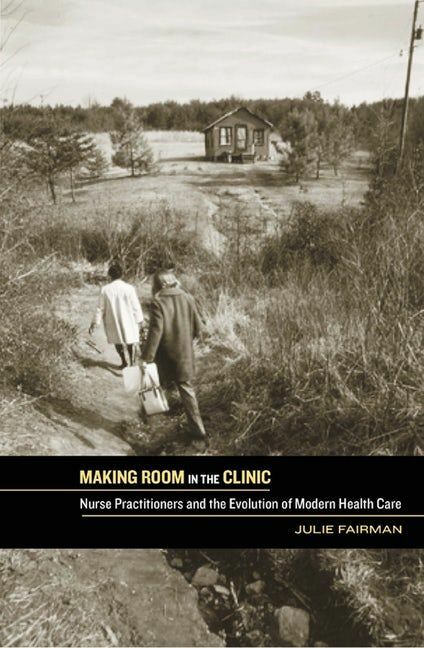 In Making Room in the Clinic: Nurse Practitioners and the Evolution of Modern Health Care, Julie Fairman investigates the history of nurse practitioners and their practice in the United States and explores their contributions to current public health policy in the United States. Image courtesy of Rutgers University Press. The tension between nurse practitioners and medical doctors has real implications for the average American’s ability to access high-quality healthcare at a reasonable cost. And for decades, those working in public health policy have struggled to define where nurse practitioners belong in the spectrum of health care workers while ensuring that patients have appropriate access to their services. With an NEH research fellowship, Julie Fairman, a Professor of Nursing at the University of Pennsylvania, undertook research on the history of nurse practitioners that ultimately led to multiple publications and enabled her to take on public policy work that is of consequence to ordinary Americans seeking health care treatment. This work also helped Fraiman break new ground in the inclusion of nurses’ perspectives in discussions of health policy. Making Room in the Clinic: Nurse Practitioners and the Evolution of Modern Health Care published by Rutgers University Press. Contributed to “Preparation of Women's Health Practitioners,” a report by the Rand Health Foundation. Contributed to “The Future of Nursing: Leading Change, Advancing Health," publication of the National Institutes of Health." Fairman becomes the first nurse to sit on the Board of Trustees for the College of Physicians. Fairman is the first nurse to deliver the Kate Hurd Meade Lecture to the College of Physicians of Philadelphia. Fairman is the first nurse to deliver the Garrison Lecture for the American Association for the History of Medicine. Fairman is the first nurse to address the general meeting of the American Philosophical Association. Fairman is the first nurse to present the Renee C. Fox Lecture in Medicine, Culture, and Society to the University of Pennsylvania's Department of Medicine.